According to the Wall Street Journal, Apple has cut orders for iPhone 5 components due to "weaker-than-expected demand" for the device. Citing "people familiar with the situation", the Journal claims that Apple has cut its orders of iPhone 5 screens for the January-March quarter, for instance, by half. If the rumors are true, they suggest that the phone isn't selling as well as Apple anticipated-or, more unlikely, that its plans are changing. While Apple has set the agenda for the smartphone market since it released its first iPhone in 2007, South Korea's Samsung, which sells many Android-based models at various price points, has already overtaken the U.S. company as the world's largest smartphone vendor by market share. Demand is also growing for inexpensive smartphones from Chinese makers such as Huawei Technologies Co.
Samsung's share, meanwhile, rose to 31.3% in the third quarter of 2012, compared with 8.8% in the third quarter of 2010. The Korean company said earlier this month that it expects to report another record operating profit for the fourth quarter of 2012, capping its best year ever amid strong sales of its Galaxy line of smartphones. The company expects an operating profit equivalent to between $8.1 billion and $8.5 billion for the three months ended in December. Apple said revenue from the iPhone jumped 28 percent during the crucial holiday shopping season. The results arrived with an unusual level of anticipation, even for a company as high-profile as Apple, because of anxiety among some investors about Apple's ability to sustain its growth and create new hit products. Apple's stock has lost about a quarter of its value since September, erasing more than $170 billion of its market value. Apple said its net income for its fiscal first quarter ending Dec. 29 was $13.1 billion, or $13.81 a share, compared with $13.1 billion, or $13.87 a share, in the same period a year earlier. The company's revenue was $54.5 billion, up from $46.33 billion a year ago. Shares of Apple fell almost 10% in after-hours trading. DENIES Apple's motion for judgment as a matter of law that Samsung is liable to Apple for breach of contract and antitrust violations stemming from breach of the ETSI IPR Policy. 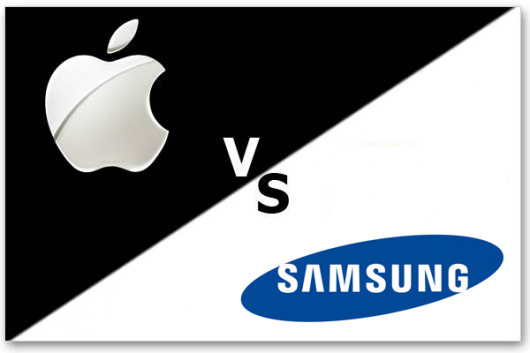 Apple and Samsung's legal battles in this case began a little over a year ago, and went to trial in August of 2012. A nine-member jury then awarded Apple $1.05 billion, and because the jury ruled the infringement was wilful, the monetary damages could have tripled in post trial deliberations based on US Laws. At a post trial hearing in December, Koh heard arguments from each party as to whether the damages were appropriate, if any of Samsung's products should be banned for sale in the US, and if the jury decision should be thrown out. Although the jury originally ruled heavily in Apple's favour, Judge Koh's post trial decisions have lessened damages for Samsung. In addition to addressing wilful infringement in the ruling of the 29 January, Samsung's motion for a new trial was denied, and Judge Koh ruled Apple would not be getting three times its originally awarded damages amount. 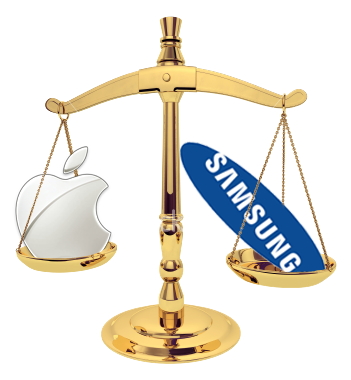 "Given that Apple has not clearly shown how it has in fact been undercompensated for the losses it has suffered due to Samsung's dilution of its trade dress, this Court, in its discretion, does not find a damages enhancement to be appropriate," Judge Koh wrote. She explained that Apple delivered an inconsistent argument, first claiming money could not compensate Apple for the harm it had been dealt by Samsung's actions, then requesting $400 million in compensation. Steve Wozniak's recent statement somewhat still identifies himself with the company he co-founded. He is said to have quoted that Apple is a bit behind in terms of features, but he did not identify which areas need improvement for Apple to keep abreast with its competition with Google, presumably, even if there was no mention of Android being the competition. He also commended Samsung and the Korean giant's ability in "making great products". He also admitted to still buying Apple products, which seems to imply that they are great and mentioned that he wouldn't do so if the company manufactures lousy gadgets. Although Android was not mentioned, it is hard to leave it out when we are talking about the greatest operating system battle in the history of mobile technology, along with the iOS. Also, whatever Wozniak says will always make the news, since he is just as controversial as the best OS rivalry in the planet. Who hasn't heard of Apple's win over Samsung in a bitter property intellectual fight? Probably, no one, or if there are still others who haven't, they probably have not even heard of mobile phones either. According to Reuters, Tim Cook, Apple's present CEO never wanted to sue the Korean tech company over design issues the reason for this being Samsung was the supplier of some of the most important elements used in making iPads and iPhones. So what made Apple sue despite Samsung being their major supplier of parts and technology and them being a major client of the other? Pulling each other down would only mean big losses in profits for both. One reason why is to possibly pressure the Korean giant to affirm their allegiance with Google, despite their other commitments to non-Android OS's. Somehow, suing Samsung makes Apple hit two birds with one stone: to go to court against Google (their relevant rival) indirectly and to pressure Samsung over the extent of their "duty" to Android. If this is what they meant with curved and smart, then Apple may finally be coming up with a new smart iWatch concept (and many can't wait until they confirm this news!). Speculators have created prototypes of what could Apple possibly be working on and a few interesting ones have come out. The Guardian's The Observer published a cool-looking picture of what a "smart iWatch" would look like. Fashion folks might just love this bangle smart watch that these talented speculators have created. Others hypothesize that it will feature iOS, Retina display, "a curved glass" design, a front-facing camera and all the works. It is also highly likely to be capable of syncing with other iOS devices, so there. With all the hype and the things that come out of these speculations, it must be something really big and worth waiting for. If these speculations will turn out to be real, then it might be the start of another tech war with other providers-but involving smart watches this time, instead of smart phones. Plans for a better version of the iPhone 5 are already smoking from Apple camp, following a leak of photos that supposedly showed the next iPhone's motherboard (iPhone 5S or iPhone 6, who knows?). Judging from the photos that came out, it looked like the successor closely resembled the iPhone 5, but is supposed to have better specs and a new iOS version. According to the leak, Apple A7 is a 1.2 GHz quad core processor, compared to iPhone 5's tri-core. Moreover, it will possibly have a 2GB RAM and according to a "reliable source" (this is where you suspect this to be a rumor), it will actually have a slower RAM at 800MHz. Relax, people, it hasn't been proven yet. New Siri capabilities are other possible improvements, other than that, we'll all have to wait and see and quit speculating for our own good. Brilliant tech enthusiasts will surely let us know. Corning, the company that makes Gorilla Glass, said it will probably take at least three years before companies start making flexible displays using its new Willow material The Willow glass should be used in some simple products this year, Clappin said. Examples may include a flexible barrier for solar panels or as a thin film behind some touch panels, he said. Corning sent out samples of the flexible glass to makers of phones, tablets and TVs in June. Chief Financial Officer James Flaws said at the time the company hoped it would be available in consumer products this year. Google has been working on eyeglass-embedded computers and plans to introduce them in 2014. Apple has a team of about 100 product designers working on a wristwatch-like device that may perform some of the tasks now handled by the iPhone and iPad, two people familiar with the company's plans said last month. Clappin declined to comment when asked whether Corning had any contact with Apple on this project. According to Reuters, Apple's $1.05 billion victory against Samsun in a patent infringement case was cut almost in half by a judge who ordered a new trial for some Samsung products. U.S. District Judge Lucy Koh in San Jose, California, today reduced the jury's damages award by $450.5 million and said Samsung deserves a new trial on infringement claims over its Galaxy Prevail and other smartphones. Koh rejected Apple's request to enhance the jury's award, saying the amount Samsung owed was heavily disputed and the jury wasn't bound to accept either side's damages estimate. The iPhone maker convinced the jury that the Korean company, which in 2012 knocked Apple off its perch atop the global smartphone market, had infringed on its iPhone and iPad patents. On Friday Koh, rejecting Apple's motion for an increase in the jury's damages award, ordered a new trial on damages for the 14 devices, which include the Samsung Galaxy S II. The jury's award to Apple for 14 other separate products, totaling almost $599 million, was maintained. Their legal tussle has been viewed as a proxy war between Apple and Google Inc as Samsung's flagship Galaxy smartphones and tablets run on Google's Android operating system. Shares in Apple closed down 2.5% today. Hours before Samsung heads to a major event, Phil Schiller sits down for a rare interview slamming Samsung's constant diatribes about how it has overtaken Apple in terms of market share. Schiller came ready with information that downplays claims that more and more people are already switching from IOS to Android. He says that on the contrary, more people are getting IOS after they've seen how Android is. Furthermore, the exec has stated that Samsung can never compare with Apple because the Cupertino Company has built its OS from the ground up and all the hardware it offers is decidedly Apple. 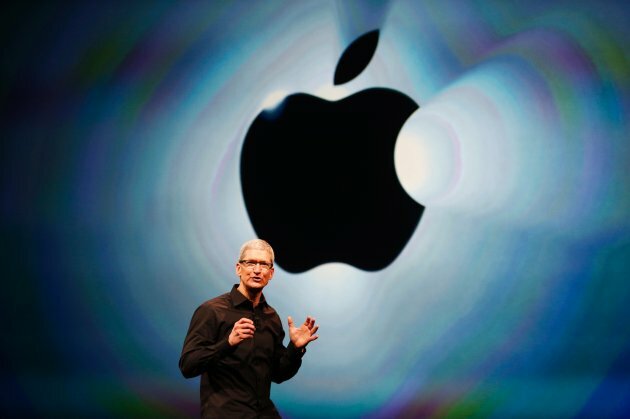 Apple has seen a slow-down in the company's growth and profit as shown by the low closing of the price of its equity. However, with a solid reputation on innovation and track record of producing excellent products, many are anticipating the next big thing from Apple and it should come sooner if it wants to stay in the game. Apple shareholders were relieved that the anticipation for the S 4 that has been a bane to their stock price has already burst. Investors were quite happy to know that the Galaxy S 4 wasn't really what they expected. In a way, they were really anticipating something that could outdo the iPhone 5 and luckily for them, it didn't happen, to the chagrin of many. Samsung did spend a lot in building the anticipation only to see many people disappointed over its features. They were rooting for something that is ground breaking and even mind-blowing. The Apple stock rose up to $443.66 a day after the Samsung S 4 has been launched and many don't see it as that of a big threat to the success and profitability of Apple. This does not mean to say, however, that the S 4 does not have awesome features. Apple people were just expecting something really innovative and surprising. Many analysts were also disappointed with the actual performance of the S 4 at the event and although it's still likely that they might reach or come close to their objective, it is enough for Apple shareholders to keep their stocks and wait until the iPhone 5s (or 6) is released. Alleged photos of parts of iPhone 5 S are making the buzz over the net. It appears that someone got hold of photos of the home button and the vibration component of the much-awaited iPhone 5 successor. There are also some similarities with how the home button looks but the circuits are a little different. Interestingly, the serial numbers on the photos of the home button flex for the iPhone 5 and the alleged 5 S are quite close to each other. For this reason, it seems like this is a fairly plausible rumor. Some information about the future iPhone 5 S report that the handset's home button will feature a fingerprint scanner but this leak "debunks" that old rumor (if it's even possible to kill a rumor with another rumor, tsk). Other rumors also report the possibility of a low-cost iPhone and one that might have the fingerprint scanner as earlier reported. We'll know in a few months if any of these were true. According to a new report, Apple's iPhone is actually more susceptible to attacks than other operating systems such as Android, Windows and even BlackBerry. According to the report, the number of people who want to ditch the iPhone in place of an Android or Windows device just keeps on growing. Furthermore, out of all the "vulnerabilities" that were recorded for phones of various operating systems, 81% have been found in different iPhone models, whereas only 19% of other phones were found to have these similar vulnerabilities. According to a report by Reuters, Samsung Electronics Co Ltd infringed a key portion of an Apple Inc patent by including a text-selection feature in its smartphones and tablets, an International Trade Commission judge said in a preliminary decision. The final decision is expected to arrive sometime in August and it is not known if Samsung can avoid the potential import ban via a software update that would change the way text selection is made. International Trade Commission said in a final decision today that Apple infringed upon a patent owned by Samsung in making some iPhone and iPad models, the U.S. The panel issued a limited exclusion order and a cease-and-desist order for AT&T models of the iPhone 4, iPhone 3GS, iPad 3G and iPad 2 3G. None of these are Apple's latest models, although the iPhone 4 and iPad 2 3G remain for sale on its website. Apple responded in a statement: "We are disappointed that the Commission has overturned an earlier ruling and we plan to appeal. Today's decision has no impact on the availability of Apple products in the United States." According to ZDNet Korea, top executives of Samsung Electronics and Apple met last week in the US for a possible settlement in their ongoing legal battle but failed to reach an agreement. Apparently Samsung's CEO, JK Shin, met up with Apple's CEO, Tim Cook, in the US just last week where they attempted to discuss the terms of the settlement. However it seems that both companies were not able to come to an agreement, suggesting that the settlement talks were a bust and we would most likely see both companies back in the courts again. The final verdict for the patent infringement case in the US has been set for the 19th of March and will see Samsung pay Apple close to a billion dollars should they lose. Over in EU, a trial date is expected to begin on the 31st of March. Naturally this cannot be confirmed as neither companies have made an official statement, but according to a Samsung spokesperson, "We can't confirm whether the two CEO met, or if they did, what the results were." There are rumors today that Apple is going to be switching to Sapphire screen-coating for the next Gen of iPhone (So called iPhone 6). Sapphire coating has been utilized in high-finish watches for some time because of of scratch-resistance or strong durability. Sapphire is currently utilized on apple iPhone camera contacts and also the iPhone 5S fingerprint sensor, the rumor also calls iWatch will allegedly be using Sapphire coating. GT Advanced is company behind Apple's Sapphire coating is looking at $500-$700 Million for the deal, since coating a presentation with GT Advanced costs 3-4 more than coating it with Gorilla Glass that cost around $3 dollars per screen. Anybody excited about the iPhone 6 because of the Sapphire coating? In a final bid to redeem itself, HTC is now "challenging" Apple and Samsung and taking a different approach in the marketing of its smart devices. If any, HTC is one of the leading innovators in the smartphone industry and has produced sleek and, well, brilliant (no pun) devices over the years. However, it slowly slipped away in market share and along with it, its ability to create and introduce excellent products. 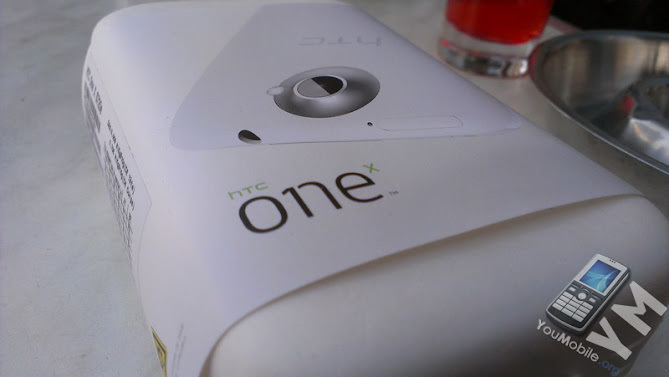 The introduction of its 2013 flagship device, HTC One, has suffered a minor set-back and will only be produced in minimal number of units in the hundred thousands, compared to Samsung's Galaxy S 4, which is said to be produced in hundred millions of units. Despite this, HTC remains upbeat and is even challenging the leaders. It is said to be putting aside ‘Quietly Brilliant' in place of a more proactive stance in their fight to redeem their formerly avant garde company. I am one of those that are hoping that it bounces back to improve its market share. We're changing the culture within HTC. Our culture has always embraced this "quietly brilliant" mentality, which meant the good things about being humble. But we've been too quiet. We're embracing that we need to be a challenger. HTC is a company fighting against two of the biggest companies in the world, Apple and Samsung, who have a lot of resources. So we're embracing that. South Korea's LG Electronics Inc. regained its spot as No. In the U.S. handset market last month for the first time in a year on Brisk sales of its latest smartphones, a research firm said Sunday. According to Hong Kong-based Counterpoint Research, mobile phones by LG Electronics recorded a share of 13 percent in December in the United States, beating Apple Inc. with 12 percent. The No. 1 player was retained by Samsung Electronics Co. with 33 percent. Please note, it's "mobile" phones, not just smartphones. LG Electronics had maintained the runner-up position until the third-quarter of 2011 but fell to third place after Apple's iPhone 4S hit the market. 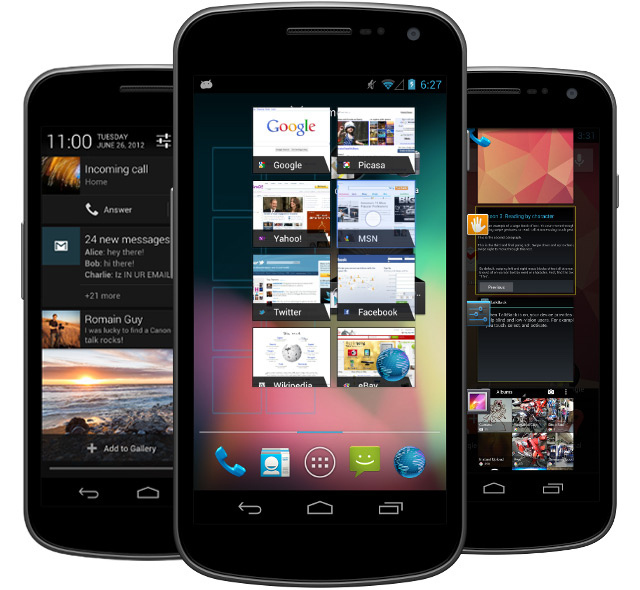 Market Insiders attributed LG Electronics' sales growth to the popularity of its latest Optimus G handset , with over 1 million units sold across North America. 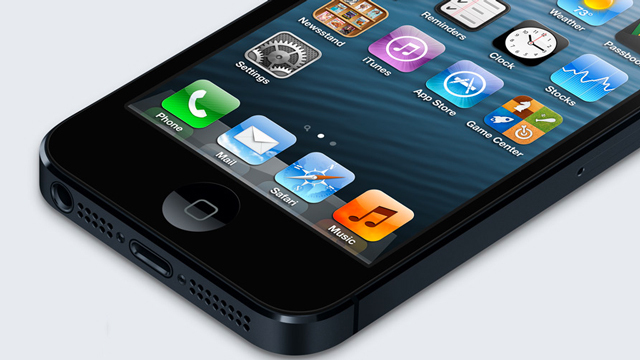 Yesterday Samsung added the iPhone 5 to the patent lawsuit against Apple as well as other manufacturers. This comes Apple was awarded $1 billion for Samsung's infringements. But sales of Samsung's flagship Samsung galaxy s III haven't been hurt and appearance to have been helped by the news. The powerhouse Android device saw average growth of 9% in new devices every week since August 1st, with huge spikes in Galaxy S III adoption occurring following your Apple lawsuit verdict and after the iPhone 5 announcement. The first spike in weekly growth coincides with the exact same week that a jury awarded Apple $1 billion for Samsung infringing on Apple's patents. The deluge of post-litigation press coverage both drove general focus on Samsung and suggested that Samsung devices were similar enough to iPhones to be an option for many consumers. The 2nd spike started the week of September 12, when Apple announced the brand new iPhone 5. Apple's announcement was quickly accompanied by hundreds of stories comparing the 2 phones, most of which again suggested these folks were similarly capable. That with the slowdown in new Galaxy S3 growth seen leading up to Apple's announcement (week-over-week new devices were the same as the previous week, leading to 0% growth) suggest that many consumers were waiting to listen to about the new iPhone prior to making a decision. Note that the typical week-over-week growth of 9% means that weekly 9% more Galaxy S3 handsets were added compared to week before. This means that the growth effects are cumulative, so as the Samsung device's weekly new device growth slowed some weeks, it is still adding handsets at a remarkable rate. "The informed user's overall impression of every of the Samsung Galaxy Tablets may be the following. From your front they belong to the family which include the Apple design; but the Samsung items are very thin, almost insubstantial members of that family with unusual information on the back. They don't have the same understated and extreme simplicity that is possessed through the Apple design. They're not as cool." "So as the U.K. court didn't find Samsung responsible for infringement, other courts have recognized that throughout creating its Galaxy tablet, Samsung willfully copied Apple's a lot more popular iPad." Apple may have quietly invested more than $2 billion in display maker Sharp, the struggling Japanese company that is a component rival to Samsung. While Apple also receives display supplies for its products from Samsung, the iPhone maker and the Korean company have been in an increasingly uneasy relationship because of their rivalry in the smartphone market. Apple's annual capital expenditures for the full fiscal year were $2.3 billion higher than anticipated, which has led Asymco analyst Horace Dediu to believe that the company gave the same amount to Sharp. In an analysis made on Wednesday, Dediu said Apple spent one-third more than it expected in capital expenditures in the 2012 fiscal year. While it had forecast in October of 2011 that it would spend about $8 billion, the final number came in at $10.3 billion. Nearly all of the over-spending related to "product tooling, manufacturing process equipment, and infrastructure," Dediu noted. "My guess is that these attempts to shore up Sharp are directed by Apple to ensure both continuity of supply and a balanced supplier base (offsetting Samsung, another supplier)," Dediu wrote. "If Sharp were to enter some form of bankruptcy, the key plant[s] used in producing screens for Apple might be ‘up for grabs' by creditors and they might be taken off-line, jeopardizing Apple's production capacity, irrespective of contractual obligations." According to the analyst, the deal may have included pre-orders for new components for Apple products. Apple also reportedly sources displays from LG Display . Financially struggling Sharp was set to receive a $1 billion investment from Apple manufacturer Foxconn earlier this year in order to build a new LCD plant and boost production for Apple products. However, the deal fell through. Sharp executives admitted at the end of last month that the company may not recover from its $5.6 billion loss. A U.S. judge on Monday Denied the Apple Inc.'s request to seek a ban on the sale of some Samsung Electronics Co. products in the U.S. market. The judge also denied Samsung's request to seek a new trial citing alleged juror misconduct. Apple first patent lawsuit against Samsung, filed in April of 2011, went to trial in August with a damage award of more than $1 billion for Apple. Samsung has tried to have that decision thrown out. The two companies are already taking their patent battle to courts all over the world, in a dispute that's heating up as the battle for dominance within the smartphone and tablet markets intensifies. Samsung's share with the smartphone market was 31% in the third quarter, up from 23% 2009, according to market-research firm IDC. Apple was at 2nd place using a market share of 15%, up from 14% a year earlier. Meanwhile, Both Samsung and Apple declined to comment at this time. It looks like one of the best Samsung devices, the Galaxy Nexus will remain in stores because a judge has denied Apple's bid to ban sales of this cool device. The Federal Circuit Court of Appeals in Washington, D.C. denied Apple's request to reinstate an injunction against the Galaxy Nexus that had been granted in June and lifted in October. Thursday's ruling is yet another chapter in the epic patent dispute raging between Apple and Samsung. Apple had requested that the Nexus be banned before March 2014, when the two are expected to meet in court again. The appeals rejection is a definite win for Samsung, and its partner Google, which will now be able to keep its popular Galaxy Nexus phone on the market. As Reuters notes, Apple can certainly bring another appeals request to the U.S. Supreme Court. It will likely, however, be more difficult to get a sales injunction against Samsung there. Apple, the maker of iPhones, iPads and iPods has never faced a challenger able to make a truly popular and profitable smartphone or tablet - not Dell, not Hewlett-Packard, not Nokia, not BlackBerry - until Samsung Electronics. The South Korean manufacturer's Samsung's Galaxy S III smartphone is the first device to run neck and neck with Apple's iPhone in sales and the two companies are the only ones currently turning profits in the highly competitive industry. Apple is currently taking 72 percent of the profits in the mobile phone industry with Samsung taking the rest. The two companies take different approaches to the marketplace with Apple constantly charting new territory to dominate while Samsung relies heavily on market research. According to the latest numbers from Gartner, Samsung and Apple combined accounted for 52% of all smartphone sales around the world in the fourth quarter of 2012. That's up from 46.4% in the third quarter. When you look at the global mobile phone sales numbers, Samsung is still in first place with a 22% market share in 2012. Surprisingly, in second place is Nokia. Because of heavy sales of Nokia's Asha featurephones in developing nations, the Finnish handset maker accounted for 19.1% of global phone sales - down nearly 5% from the previous year. In third place was Apple, with 7.5% overall. ZTE took fourth place with 3.9% and LG accounted for 3.3%, while Huawei was 2.7%. TCL was in seventh place with 2.1%, closely followed by BlackBerry with 2% and Motorola with 1.9%. HTC rounded out the top ten with 1.8%. Apple might also be planning to create an iPhone that is capable of charging without contraptions. The next iPhone (5S or 6) is possibly due to come out on August this year, while the Samsung Galaxy S IV will be formally launched on the 14th in Times Square New York. According to SamMobile, Samsung will use Qi technology for wireless charging on the Galaxy S IV. On the other hand, Apple will not use this wireless technology, which Samsung helps develop. Instead, they will rely on an in-house technology that they have developed for wireless charging. Other mobile companies that have taken to wireless charging are LG, HTC and also Nokia, among others. This new feature will be quite useful for people who do not have time to put down their phones for a moment to charge or those who do not like bringing wires and contraptions. According the BusinessInsider, American Airlines bought 17,000 samsung Galaxy Notes last fall also called a "phablet" because it's part smartphone and part tablet. The idea is to equip each flight attendant with a device that gives them ready access to the latest flight information and other customer service information. BI: Why did you buy so many tablets and what are you doing with them? Lisa Canada: We've started rolling out the Samsung Galaxy Note tablets this year to our flight attendants, who use the device to access customer information like preferences and gate connections to better serve travelers. Our aircraft maintenance technicians also use a Samsung device - the Galaxy Tab, giving them a modern tool to better troubleshoot and address any aircraft issues. We also offer Samsung Galaxy Tabs to our Business Class customers on certain routes for a premium inflight entertainment experience. Lisa Canada: We chose Samsung devices for select workgroups after months of testing different devices and gathering employee feedback. We felt that Samsung's tablets were best suited to our enterprise environment, plus we were able to make customizations to fit our needs. BI: How important was SAFE to you? Lisa Canada: SAFE provides additional administrative features which facilitates our development and device management. BI: Why is this initiative important to AA? Lisa Canada: Our priority is to make serving our customers easy and as intuitive as possible. This includes efforts such as rolling out tablets that simplify and modernize the American experience. For instance, because of the applications we were using, we have also provided pilots with Apple iPads containing information and navigational charts. The iPads replaced the paper-based documents they used to carry around in cumbersome 35-pound pilot kitbags. Regardless of mobile platform, we are committed to providing employees with the best technology tools for their specific roles and responsibilities. Looks like Samsung continues to win over Apple on many fronts. When it comes to marketing of smartphones, Samsung and Apple are the only ones that dominate the field and all others are dismissed as non-competitors. This harsh competition makes it quite difficult for new entrants to thrive or even old players to bounce back, for that matter. There is simply no easy way to get back up once a smartphone company makes bad decisions and as a result, lose market share. Such is not the case with Samsung. If any, it has defied odds and ever so slowly climbed to the top. Through the years, it has spent hundreds of millions of dollars in research and marketing to un-seat Apple from the top and so far, they are successful. Not only does Samsung dominate in the Android market share, it also leads in the sale of smartphones. Even Google is expressing concern for its rapid growth, which means that somehow, Samsung makes the Android team quite nervous. Experts say that the real competitors are Android (Google) and IOS (Apple). But it cannot be denied that Samsung makes up most of the Android pie and that it can easily "destroy" it if it wanted to. Now if only Samsung can actually create hype without spending staggering hundred millions in dollars, then it could be as profitable as Google or Apple and of course, live up to that hype and create really awesome and ground-breaking products. When this happens, it might just be able to swallow both Apple and Google at the same time. 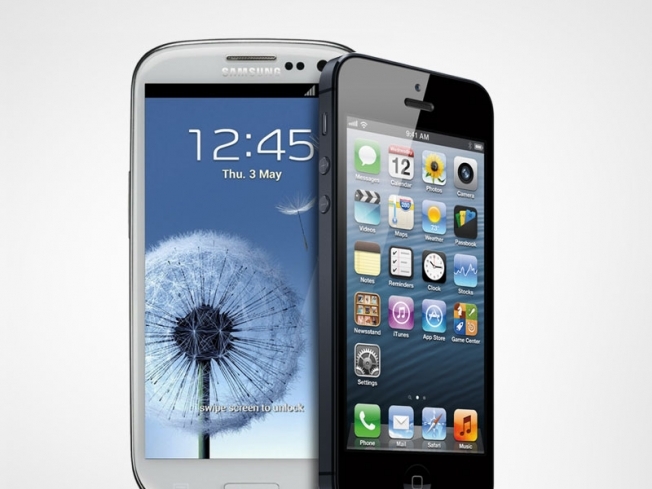 According to analysts, the Galaxy S 4 could finally take the lead from Apple on the high-end smartphone sales. Samsung sales mostly come from shipping out mid-range and low-end devices. For years, they haven't really gone past Apple on the sale of high-end smartphones and the introduction of the Galaxy S 4 might just change that. Since last year, Samsung has sold over 50 million units worldwide since it was introduced in March. This year, the Korean company's goal for the Galaxy S 4 is a bit more ambitious and with the way the interest in the S 4 keeps on gaining, this might actually be possible. When that happens, Samsung will beat the long-standing leader in sales of high-end devices. Furthermore, the Galaxy S 4 is not the only high-end device to come out this year. The Galaxy Note 3 is next to be introduced after the S 4 was successfully launched last March 14th and more people are also expressing interest on the Note 3. It is but normal for Apple to be nervous about this situation because they've held the title of the "most" for years. Also, this is most beneficial for users, since providers like Samsung and Apple will really need to come up with excellent products to stay in the competition. Apple is not the only rival that Samsung has to watch out for. When you've got everything going on for you, expect even the tiniest the unlikeliest opponent to go after you. As Samsung continues to dominate the market, disputes over patent and market share do emerge between various Android OEMs. HTC and LG recently released jabs against the recently-launched Galaxy S 4, saying that its features, while there are plenty, are mediocre and not what they actually expected. HTC even decided to display the HTC One outside where the S 4 event was held last March 14th. On the other hand, LG mimicked the S4 pre-launch teaser in a parody to stir interest on its Optimus G Pro. On more serious notes, according to Yonhap News, LG wants to sue Samsung for using the eye-tracking technology that it introduced as one of the main features of the S 4. LG is now claiming that they have patented this technology as early as August 2009. As of moment, the company is waiting for the S 4 to be delivered in stores worldwide, to verify their chances with the patent infringement issue with Samsung S 4. These two companies had similar issues with their display screens before but looked to have settled out of court. 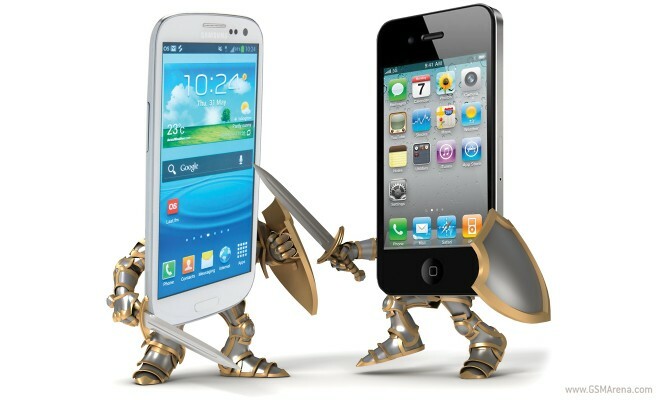 Samsung's Galaxy S3 and Galaxy Note II each scored 84 on a scale of 100 in a smartphone brand study by the American Customer Satisfaction Index. They beat out a trio of Apple's phones-the iPhone 5 and iPhone 4S, which each got an 82, and the iPhone 4, which received an 81. This is the ACSI's first study of individual smartphones, and the marginally higher scores of the Galaxy phones come at a time when Apple's iPhones are nearly due for a refresh, probably in September. Apple is allegedly strongly pushing its development of the new iOS 7 platform, which aims to breathe new life into the aging mobile OS. It is rumored to coincide with the development of a new iPhone 5S model alongside a budget iPhone line, which should ideally give Apple a resurgence in the innovation department that's become characteristic of the Cupertino-based tech giant. Samsung has beaten rival Apple in creating a smartphone with a curved screen. Apple filed for a patent on a device having a wraparound display in March, but nothing has come of those plans by yet. Samsung, however, announced Wednesday that it has created a tool with a curved screen, which is unveiled later this fall. "We plan to introduce a smartphone having a curved display in South Korea in October," Samsung's mobile business head of strategic marketing, D.J. Lee, said Wednesday in an event launching the Galaxy Note 3 smartphone in Seoul, according to Reuters. Curved displays are the initial step toward creating bendable screens, which may be groundbreaking for smartphones and wearable tech, eliminating be worried about screen cracks and allowing for an array of new shapes. Samsung already has some knowledge about the technology, because it makes curved OLED televisions. Those Televisions cost around $9,000, Reuters reports, which leaves some uncertainty about if the technology can be achieved cheaply enough to create devices that employ it affordable. Apple Insider reported around the wraparound screen patent Apple declared back in March. The proposed device's screen wraps completely around the phone and would use face recognition to determine which direction a user is viewing the screen. The unit would basically be one silver screen, using gestures instead of buttons to do various functions. Apple Insider also reported that the display would make the creation of 3-D imagery easier, these types of its seamless design, the unit would be more great looking than current smartphones. The smartphone market will only grow more competitive because it reaches its saturation point, and Samsung knows it must innovate if the company is to keep its add Apple. One key area by which Samsung has beaten Apple is emerging markets, particularly in Asia. Samsung offers cheap devices running on Google's Android platform that have shown great appeal in emerging markets, where consumers usually have to pay top dollar for devices. But with the release of two new iPhones last week, new research is speculating that Apple will gain lost ground in emerging markets quickly because of the unexpectedly high price of the iPhone 5C. Now the big questions Samsung faces using the introduction of curved screens are if users will respond well to this type of radical alternation in the shape of the smartphones, and when the technology can be achieved cheaply enough to help make the devices utilizing it accessible. 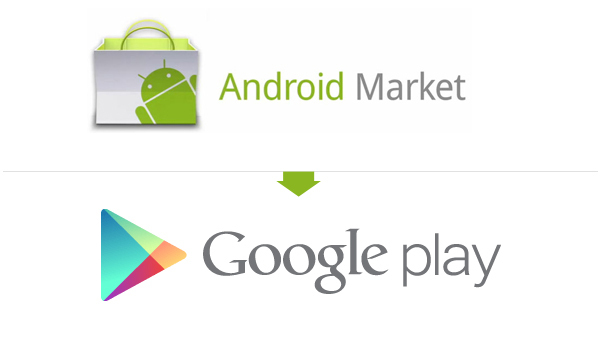 According to a recent report regarding app market purchases, Android is set to become the most popular app platform in the world within the next few months. Driven by new devices from Samsung, Google's app store, called Play, has surged ahead, despite a continued lack of top-end applications and consumers who still spend lower amounts. There are now 900million Android devices in the market compared to 600 million Apple products. Although Apple recently celebrated 50 billion app downloads, users of Google's Android platform are currently downloading 500 million more apps per month.